Meet Jay created by yenluck dan Raia by StrongHeartMama. Both cool images are made using the PickaFace desktop application. 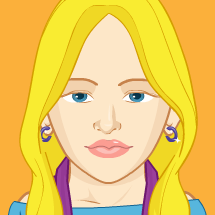 Thousands of avatar like these have been made with our app. The app is very easy to learn, it has tons of features that you can use to create human face image. If you see Jay here, it feels like he is a guy somewhere in the neighborhood, right? Just like Raia, I think I have met her a party somewhere. Those images are so realistic. Some of the features that these two creators use are the scarf and shirts that can be changed into many different colors. For women, there are plenty of accessories including scarf that you can use. Eyeglasses are also available in many different styles. Earing is also ready to use, you can change its color that suits your need. Almost all parts could be picked with lots of color options. Welcome to PickaFace blog! We create this blog to support our users in optimizing PickaFace to whatever purpose they have. So much of this app that you could use to create amazing things, in many cases it can even surprise you. PickaFace has so many possibilities that you can explore. We did not even realize its potential the moment we created. People use PickaFace in very broad range of purposes, from school assignment to workplace duty. 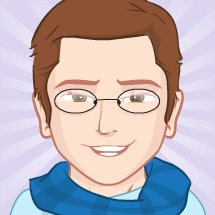 We are really excited to see more and more avatars created by our extensive range of users, mostly come up with great pictures.